Every builder knows that the foundation is critical to the stability and longevity of the structure. If the foundation is faulty or compromised in some way, the result will be disaster. God has established foundations for a successful society. Tragically, these foundations are under attack. 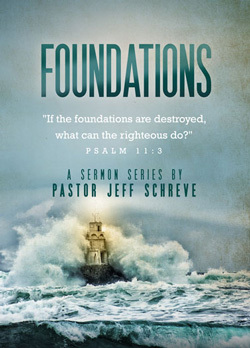 In this powerful series, Pastor Jeff Schreve boldly shares biblical, politically incorrect truths to help us stand on the Lord's strong and solid foundation.